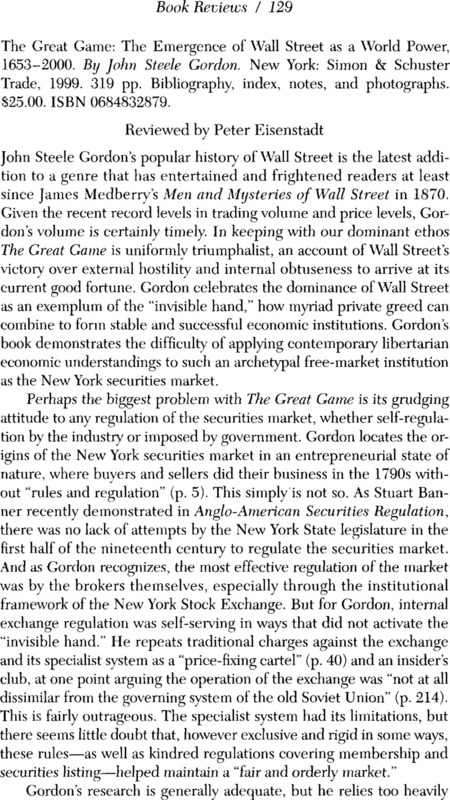 The Great Game: The Emergence of Wall Street as a World Power, 1653–2000. By John Steele Gordon. New York: Simon & Schuster Trade, 1999. 319 pp. Bibliography, index, notes, and photographs. $25.00. ISBN 0684832879.